In a culture where you can position yourself as an expert on absolutely anything if you can fit it into a good enough caption, we need shortcuts to facilitate that posturing – because actually acquiring knowledge takes time. Some inexperienced showboaters will use Google, and Wikipedia, but an anthology is a great way to ingest a wide range of perspectives on a particular topic and discover a bunch of new writers in the meantime. For real knowledge, you need to turn to a good anthology: a collection of essays, short stories, or poetry that will gift you with a nuanced view, so you can make references so varied that you will render your followers speechless. Although it’s easy to be cynical about the sharp rise in popular feminist anthologies by young influencers – a book deal is probably made easier if you have a big following on social media – there’s a lot of gold elsewhere in the anthology genre. 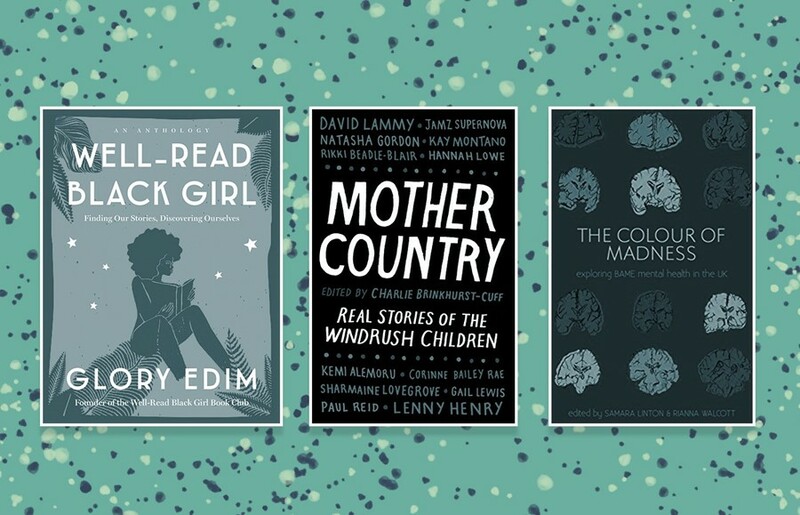 By giving you a snapshot of the experiences of minority voices, sometimes through the perspectives of multiple authors ranging from activists to scholars, or through allegorical short stories, this year has produced several books that break down hugely complex topics into bite-sized pieces. Here are some of our recent favourites that champion marginalised voices, and will actually teach you something in meantime. “The aim is to create, here in Britain, a really hostile environment for illegal immigrants,” said then-Home Secretary Theresa May in 2012. But, the government gets to choose what is legal, and that is subject to change at any time. In 2014, the legal protection for people who were invited to settle legally in the UK from the 40s onwards was revoked. An unknown number of people were deported to islands they’d left during early childhood, or that they had never even been to, and at least 11 people who were wrongly deported have died. That’s what makes Charlie Brinkhurst-Cuff’s recent book vital (full disclosure: Charlie is a regular contributor to Dazed). Mother Country tells the stories of those who watched the scandal unfold and felt unwelcome in their own home. Lending a voice to descendants of Caribbean migrants like her (and me), it explores the writers’ childhoods and family dynamics. Elsewhere, it looks back at Caribbean community hubs, like basement clubs in Manchester, and pastimes like dominoes and poker. Hanna Lowe’s essay profiles her card-counting father who had such a knack for games nights he made a living off it. Other essays call on the likes of Corinne Bailey Rae, Labour MP David Lammy, and DJ Jamz Supernova, to give a face to a scandal that is not over yet. Get your copy of Mother Country here. Penned by journalists, scholars, and musicians who are all women (including Ann Powers, Katherine Turman, and Peaches), the book unpacks the stories and influence of Aretha Franklin, Patti Smith, Alabama Shakes, and underdogs like Ana Tijoux or the French-Chilean hip-hop artist Carol Kaye. Get your copy of Women Who Rock here. In 2015, Glory Edim started a book club named Well-Read Black Girl, and quickly found that black women were craving a space to share their ideas and inspirations. So it grew. Come 2017, she had so many fans she hosted a WRBG festival, which celebrated black women’s minds and their contribution to the literary sphere with esteemed authors like Jacqueline Woodson and Tayari Jones. Reports have shown that the publishing world is still woefully white and male, meaning that when it came time for Glory Edim, the group’s creator, to curate a book, she filled it with the voices of her peers. Well-Read Black Girl: Finding Our Stories, Discovering Ourselves is essentially a book full of black women talking about the books that inspired and entertained them. While it may sound like the literary version of Gogglebox, the essays arm readers with a checklist of works to make their way through, which includes authors they may not have come across before. Lynn Nottage explains the first time she read The Color Purple, while poet Patricia Smith pens an emotional tribute to James Baldwin. Get your copy of Well-Real Black Girl book here. When Dazed embarked on the Ireland Unfree series earlier in 2018, it was to draw attention to an issue the UK has ignored for too long. The Republic of Ireland voted to repeal its eighth amendment in September, which forced over 3,000 women a year to travel to the UK to access safe abortions, or buy illegal abortion pills and face jail time. While that was a historic success, this law did not spread to Ireland’s northern counterpart. Edited by Irish journalist and broadcaster Una Mullally, Repeal The 8th is a collection of literature, photography, personal essays, and journalistic works that unpack an outdated policy. It now stands as a testament to a movement and shows the hill that women in the north still have to climb. Contributors include Lisa McInerney, Tara Flynn, and Caitlin Moran. Get your copy of Repeal The 8th here. We’ve made tremendous strides in normalising the conversations around mental health, and raising the profile of conditions like anxiety, depression, and beyond. Yet people of colour are more likely to be sectioned in the UK, they’re also way more likely to be offered medicine rather than talking therapies. Does this suggest that there is a sympathy gap? Do doctors believe that people of colour are harder to deal with and treat than their white counterparts? Headed up by two 20-somethings, The Colour of Madness aims to demystify the topic through its “kaleidoscope of stories”. It has been a labour of love, having started as a crowdfunded project. Rianna Walcott, 24, is a Kings College PhD student whose work focuses on how black women talk to each other in enclosed spaces, while Dr Samara Linton has her sights set on becoming a psychiatrist. In this anthology, both present essays, art, and poetry that give a detailed picture of the UK’s healthcare system from a minority point of view. The Colour of Madness is available to buy here. One book, one author, and a wealth of colourful short stories. Most of the tales in Heads of the Colored People by Nafissa Thompson-Spires are fictional, yet they smartly unpack the very real belief that we are somehow living in a post-racial society. The literary newcomer brings these political ideologies and conversations about identity into the trials and tribulations of character like Rudolf in “The Necessary Changes Have Been Made”. He is a black professor at a small college who is exhausted from having to present as an “anti-stereotype” but his patience is constantly tested by microaggressions in the office. In “Belles Letters” two black mothers whose children have developed a feud at their mostly-white school argue via notes left in their daughter’s backpacks. Thompson-Spires told NPR that the story is really about how the two girls represent how it feels to compete for space in white environments. These near-allegorical tales highlight the unsaid and often undetectable experiences of being “other”. Get your copy of Heads of Coloured People here.